today is Sunday and that's when we usually have a little extra time to make something special for our kids, or just for ourselves.. ;) One of the things of everyday life I really enjoy is cooking. I recently found a delicious recipe that is perfect for an afternoon snack or even breakfast. 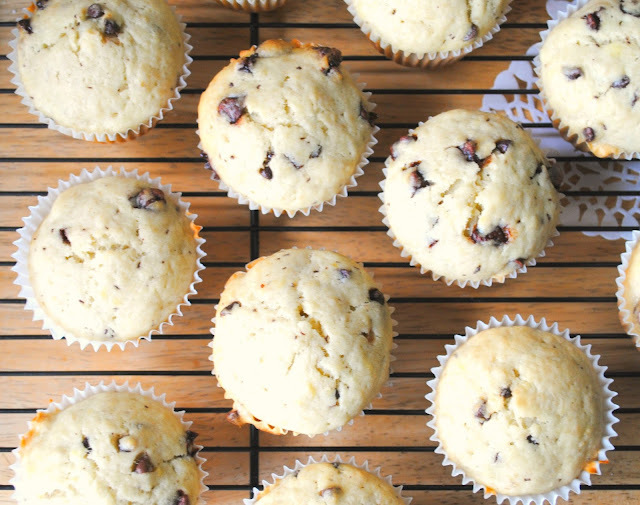 I'm talking about Banana Chocolate-chip muffins! 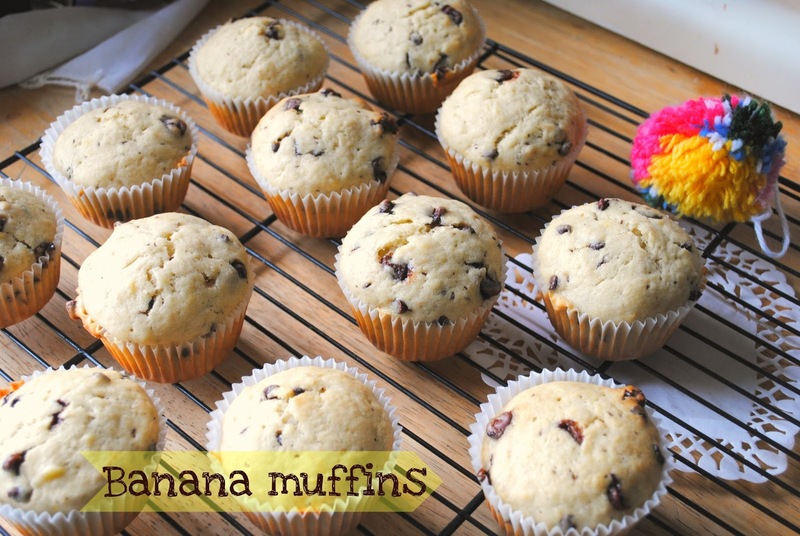 They are perfect especially when you have a couple of bananas getting darker and darker on your kitchen counter... how many times that happens in my house....... well, if that's the case, look for a couple extra ingredients and make these!! You won't be disappointed. Mix sugar and egg to the mashed bananas. Add melted butter (you can use margarine if you prefer). Add the flour (if you don't have the self-rising kind, just use the regular flour + 1 tsp of baking powder) and mix well. Add chocolate-chips at last folding them in the batter. Pour the batter into muffin molds and bake at 375 degrees for 15-20 minutes. 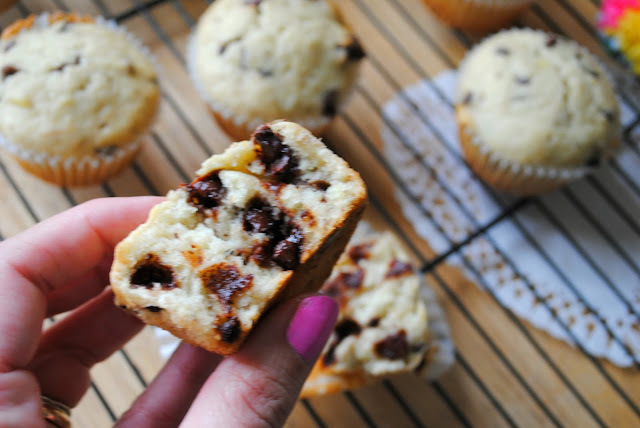 I check if they are cooked inserting a tooth-pick in one of the muffins, if it comes out clean it means they are ready!! I hope you like them!! Enjoy them with a cup of coffee or tea! Let me know what you think.